We almost always leave her on random. It’s like having a radio station that pulls from 4MB of your own personal favorites. But even though all of the songs in the system are songs we’ve deliberately put there, I often find myself skipping from one random track to the next until I hit something I feel like hearing. It’s not that I don’t like the songs I skip. I’m usually just not in the mood to hear them right then. Maybe they’re too hard or too soft, or it’s the third time that particular song has come up in the last hour. But every time our car offers up a Toad the Wet Sprocket song, I listen. That fact struck me one day and it has held true ever since. I’m never not in the mood to hear one of their songs. I’m not sure why that is, but take it to the bank. I was excited to hear recently that Toad will be playing SunFest this year (that’s the big annual music festival in my area). As of December, they’ve officially reunited and are working on material for a new album, which will be their first in 15 years. I can’t wait, and neither can the woman in my car. This entry was posted in song of the day and tagged Dulcinea, Toad the Wet Sprocket, Windmills. I actually do the same random listening on my IPod when on a plane and, like you, will skip through certain songs, though, at times, it is because they are artists who found my way into the library from your collection or they are kids’ songs. There are a handful of these inherited artists, however, that I always leave on and Toad is one of them. Others include Beck, Ron Sexsmith, Fiona Apple, Rufus Wainwright to name just a few others. So, I can appreciate what you are saying. There is a quality and mood about Toad’s music that generally draws you in. Now, just out of curiosity, if your car had GPS and was programmed to take you to SunFest, would lesbian car voice take you to Lilith Fair instead? 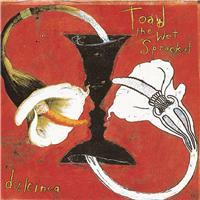 I couldn’t name a Toad the Wet Sprocket song if my life depended on it, yet I find myself loving today’s SOTD.